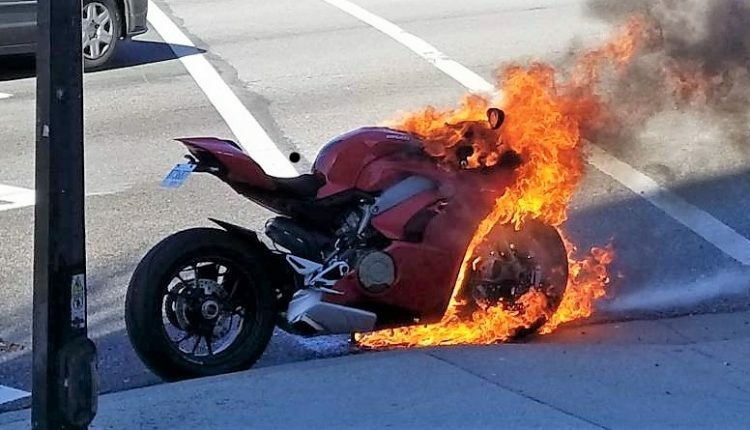 Panigale V4 Catches Fire in North America: Ducati Panigale V4 recently caught fire on a red light in USA. 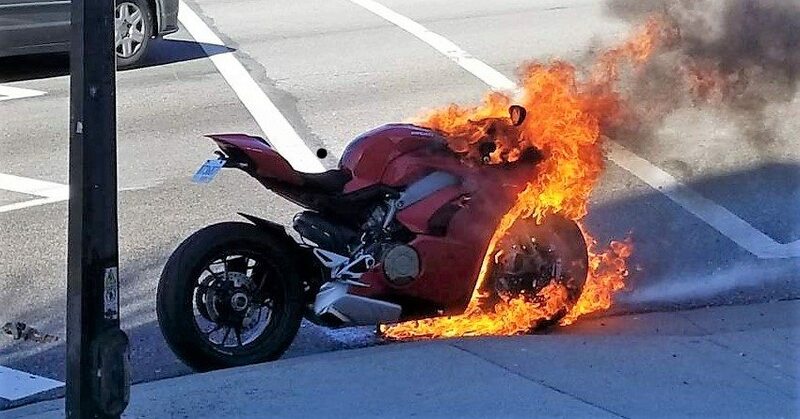 The owner described this incident as shocking as he smelled something burning and saw that lower section of his bike was on fire. Ducati North America was quick to respond as hours later, they sent him a new bike as replacement for his Panigale V4. They will take his bike back for examination and see what was at fault before or during the incident. The rider is very happy with Ducati’s speed of service. He is not even interested in blaming anyone as he knows that a company won’t ever want a customer to be in such a risk. Panigale V4 is Ducati’s first product to carry a mass produced four cylinder engine. They are using 1103cc, 90 degree V4 engine producing 214 HP at 13,000 rpm and 122 Nm at 10,000 rpm. Those extra 104cc in this engine offers better torque for everyday riding and thus, buyers preferred Panigale V4 for its versatile riding nature. It weighs just 175 kg (dry) and costs INR 20.53 lakh in India. This price tag makes V4 the most expensive liter class motorcycle among others like Yamaha R1, Kawasaki ZX-10R, Suzuki GSX-R1000 and Honda CBR1000RR. Desmosedici is the clear inspiration behind its frame, design and electronic packages on offer. Buyers can even consider the more expensive V4 S variant for added premium equipment. This one costs INR 25.29 lakh and uses different set of alloy wheels for easy differentiation and rotating part weight loss. 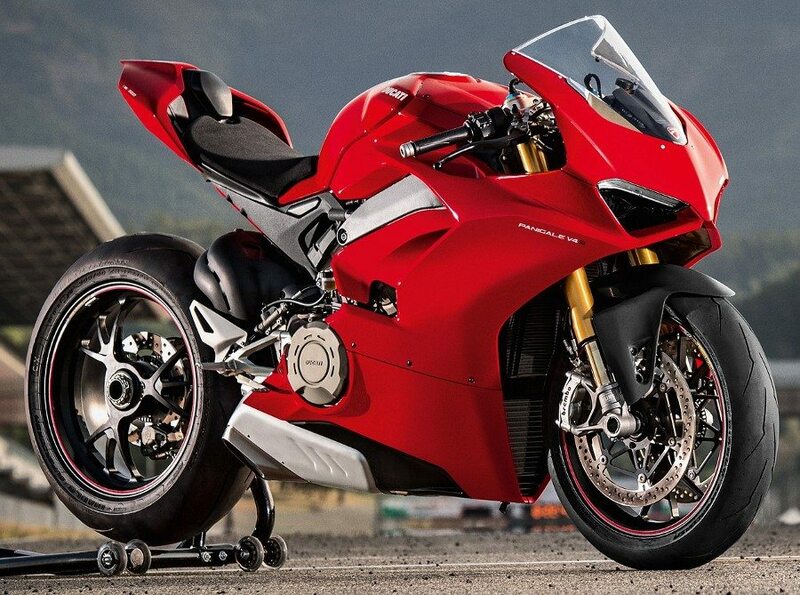 Panigale V4 Speciale, the third variant, has not yet been launched in India. It will be limited to just 1500 units. The level of equipment available on V4 is enough to shock a seasoned racer while amateur riders will feel like home when riding Panigale V4 with all its electronic rider friendly features.